The following recently completed projects were a source of pride for all team members fortunate enough to be involved in their construction. We welcome the opportunity to add photos of your completed project to this list. 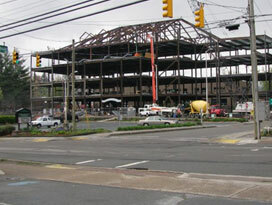 Project consists of an addition of 160,000 square feet of educational space spread out on 6 floors. 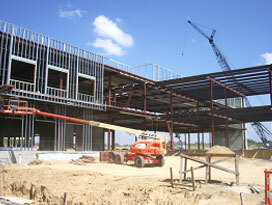 The areas will provide the most up to date and modern technology for higher learning. 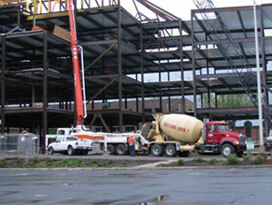 Architectural Coatings, Inc. is providing the specialized coatings on all the Structural Steel. The Madison County Medical Center is a 67-bed replacement hospital facility. The hospital will provide a full range of acute care services, with 55 medical / surgical hospital beds, 8 intensive care beds, and 4 labor and delivery rooms. The hospital will also provide 4 surgical suites, emergency room department, radiology department, outpatient surgery department, food services and dietary department, as well as the support facilities required to operate and maintain the facility. 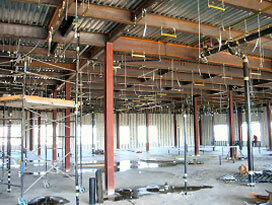 Architectural Coatings, Inc. is providing the specialized coatings on this project. 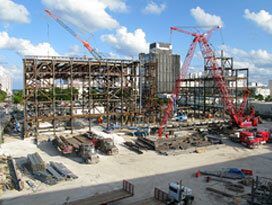 The coatings include Cementious Coating to all the Structural Steel. 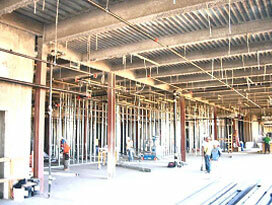 The vast majority of this project is in the 60,000 square feet MEP Pipe Basement. Facchina McGaughan LLC has recently completed this landmark 6-story, 50,000 square feet variable seating performance hall, digital music library, 26 individual rehearsal rooms, six ensemble rehearsal rooms and a multi-purpose room. 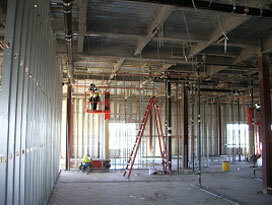 The project also includes fellow changing rooms, administrative offices and over 100 instrument lockers. 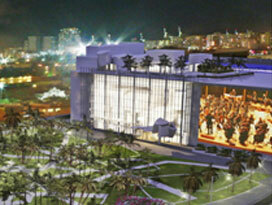 Signature features of the campus will be the east façade of the building, which will showcase a glass curtain wall allowing passersby a glimpse of the inside architecture, and a projection wall on which live concerts, master classes, large-scale images and films may be viewed from the new park. 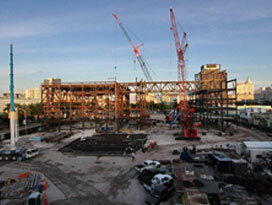 The project was designed by world-renowned architect Frank Gehry. Architectural Coatings, Inc. is providing all the specialized coatings for the Structural Steel on this project, as well as fire stopping/safing for Window Wall Systems and Acoustical Coatings.